Gary Cooper, Teresa Wright, Frank Morgan et al. 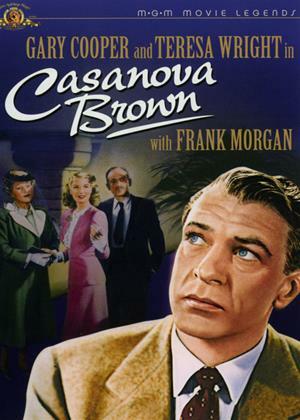 Casanova Brown is about to marry Madge when he learns that his former wife, Isabel has just had a baby that belongs to him, and plans to put the child up for adoption. Casanova runs out on the wedding, disguises himself as a doctor, visits the hospital where his infant daughter is being held and runs off with her to a hotel, where he does his best to care for the baby. Before long, Madge and Isabel hunt down Casanova, whom they are both furious with.